In five years, Atlantans and visitors seeking public transit in the metro area will be looking to catch a ride on The ATL. On Thursday night, in the waning hours of Georgia General Assembly 2018, legislators made happen something many Atlantans thought might never come: landmark legislation that sets in place funding framework and a regional transit governing system for all of metro Atlanta. By March of 2023, per the legislation, the region’s transit systems will be folded into a single brand name—the Atlanta-region Transit Link Authority, or The ATL. The ATL will be charged with planning transit across 13 metro counties, utilizing existing systems CobbLinc, Gwinnett County Transit, GRTA’s Xpress service, and yes, MARTA. The goal, per the Atlanta Regional Commission, is to improve mobility across county lines and other jurisdictions—and thus boost the region’s economic viability. ARC stats indicate that more than 60 percent of metro commuters leave their home county for work each day. 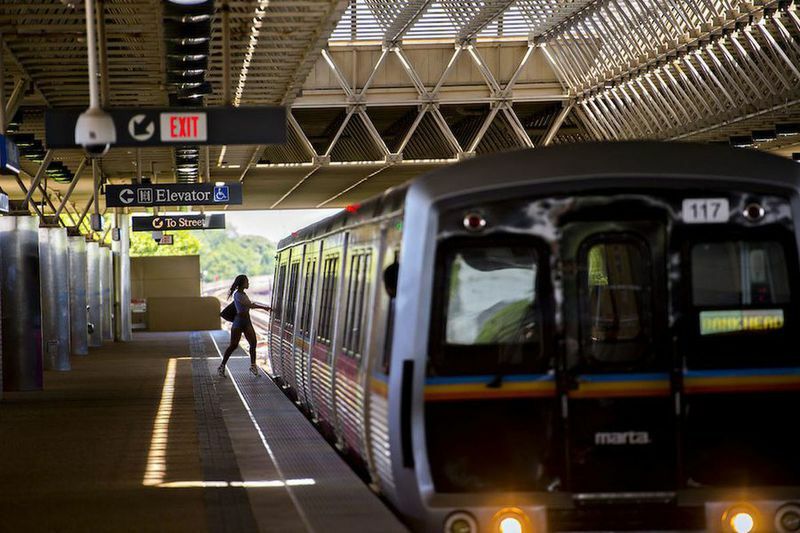 It’s probably no coincidence, then, that ARC’s 2017 Metro Atlanta Speaks poll found that 94 percent of respondents believe improving public transit is important to the region’s future. Sponsored in the House by Rep. Kevin Tanner and in the Senate by Sen. Brandon Beach, the legislation will enable counties to seek sales tax increases (up to 1 percent for as long as 30 years) to finance new transit construction and operations. It comes on the heels of news that Georgia’s 2019 state budget will include $100 million to fund statewide transit projects—which, somewhat sadly, is a record amount. It’d be difficult to argue that a less balkanized transit strategy for metro Atlanta has been sorely needed for far too long.